"HAPPY NEW YEAR TO ALL OF YOU!" I HOPE THESE WORDS FIND YOU ALL IN GOOD HEALTH AND SPIRITS. YES, IT'S BEEN ANOTHER YEAR ALREADY . . . YET ANOTHER ONE THAT WENT BY IN A FLASH . . .
ALL THE MORE IMPORTANT TO CHERISH THE LITTLE THINGS AND MOMENTS . . . YOU KNOW WHAT THEY SAY ABOUT ALL WORK AND NO PLAY. SO THANK YOU VERY MUCH, ALL OF YOU WHO SHARED YOUR LIVES WITH ME AND THE BAND THIS YEAR, ALL OF YOU WHO GAVE US YOUR TIME, LENT US YOUR EARS . . . OR YOUR MUSICAL, PHOTOGRAPHIC AND OTHER TALENTS! AS TO OUR TRADITIONAL CHRISTMAS PRESENT, I EVEN HAVE TWO FOR YOU THIS TIME. 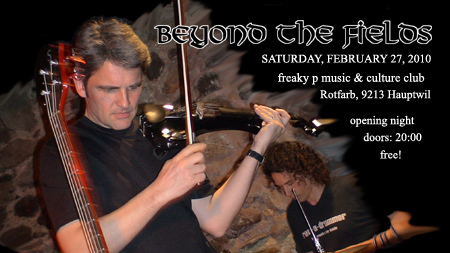 THE FIRST ONE IS AN ACOUSTIC LIVE RECORDING OF JUST LIKE A BIRD (LYRICS), WITH JÖRG WALESCH ON FIDDLE. 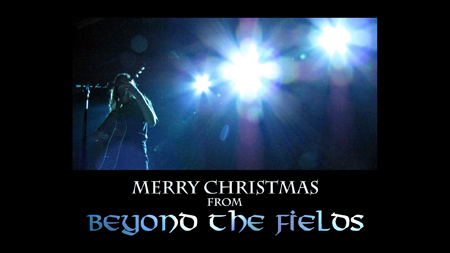 THE SECOND ONE IS A VIDEO CLIP OF THE ARTIST'S SONG (LYRICS), RECORDED LIVE AT THIS YEAR'S IRISH ROCK PARTY IN LIECHTENSTEIN, WITH EVA WEY ON FIDDLE. WISHING YOU ALL THE VERY BEST FOR 2011 . . .
HOW'S EVERYBODY DOING THESE DAYS? GUESS WHAT I GOT . . . FIVE BRAND NEW LIVE VIDEOS FROM OUR RECENT CONCERTS WITH THE POPES! THAT'S RIGHT! 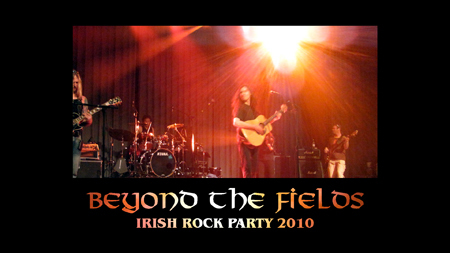 HERE'S BEYOND THE FIELDS LIVE AT LIECHTENSTEIN'S FIRST IRISH ROCK PARTY . . .
AND THIS IS EVERYONE'S FAVOURITE GUEST FIDDLER EVA AND YOURS TRULY PLAYING AN OLD IRISH REBEL SONG BEFORE SOUNDCHECK . . .
A FANTABULOUS SUMMER TO YOU ALL!